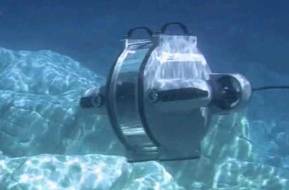 Seatronics Ltd invests in iXBlue's inertial and acoustic products used for positioning in deepwater projects. Seatronics Ltd, an Acteon company, has expanded its equipment rental pool to include more iXBlue inertial and acoustic products in response to increasing market demand for inertial navigation technology to enhance positioning for deepwater projects in West Africa and Brazil. The order, which brought the company’s total 2012 expenditure with iXBlue to more than €3 million, reflects a wider shift to inertial technology as the subsea market moves away from relying on acoustic positioning solutions. Five more iXBlue PHINS 6000 systems for rental stock. The PHINS 6000, the highest specification inertial system available on the commercial market, is used routinely in demanding subsea measurement applications such as pipeline out-of-straightness monitoring and spool piece metrology. Upgrades to 12 existing iXBlue OCTANS Gen 4 subsea gyros to the full inertial navigation system capability available from ROVINS with a simple firmware change. The versatile ROVINS sensor can be integrated with a DVL to provide a robust ROV positioning solution that will enhance the performance of any acoustic positioning. 12 additional OCTANS Gen 4 industry standard subsea survey gyrocompasses.